Apple&apos;s T2 security chip being embedded into their newest products provides a secure enclave, APFS storage encryption, UEFI Secure Boot validation, Touch ID handling, a hardware microphone disconnect on lid close, and other security tasks. The T2 restricts the boot process quite a bit and verifies each step of the process using crypto keys signed by Apple. Phoronix explains that by default Windows does not boot on Mac hardware. Linux is a different deal, however. For Windows one must run Boot Camp to enable booting Windows. The Boot Camp Assistant will install the Windows Production CA 2011 certificate that is used to authenticate Microsoft bootloaders. But this doesn&apos;t setup the Microsoft-approved UEFI certificate that allows verification of code by Microsoft partners, including what is used for signing Linux distributions wishing to have UEFI SecureBoot support for Windows PCs. 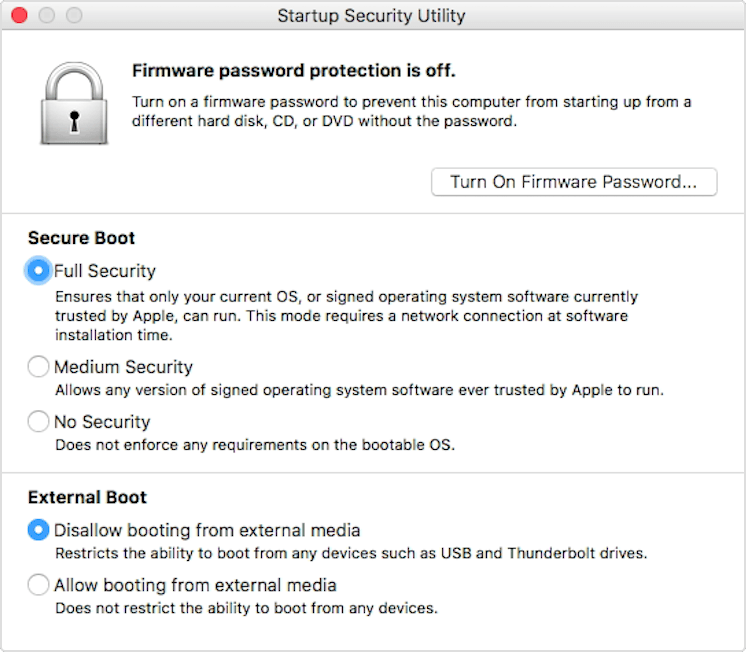 Apple could choose to add certificates necessary to allow Linux to boot. These settings are available in the Startup Security Utility available on the Recovery partition. Therefore you first start the computer while holding down Command (⌘)-R to enter Recovery mode. The No Security setting doesn&apos;t enforce any of the above security requirements for your startup disk. So.. problem solved? Not so fast. According to discussion on Stack Overflow this doesn&apos;t help with booting Linux.